About Us | Marysville, WA | Ears 2 U Hearing Services, Inc. Ears 2 U Hearing Aids, is owned and operated by Carmen Buechel Brown. Licensed by the State of Washington since 1982. "I have had many positive influences in my life that believed in me, and the potential of providing exceptional service to the hearing impaired in Skagit and Snohomish Counties. To those special people I am sincerely grateful and honored to have had you in my life!" I feel that the partnered relationship with SIEMENS hearing aids has been a beneficial part in the success of a small, locally owned business. The testimonials keep flowing in, proven patient satisfaction. With SIEMENS Best Sound Technology the patient can now assist in teaching their hearing aids. 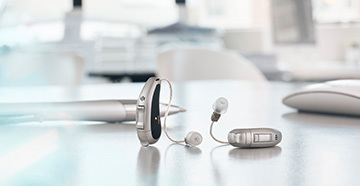 SIEMENS hearing aids learn form the user, helping them hear the best that they can in their own world of sound. "I thoroughly enjoy my profession and feel extremely fortunate to help others improve the quality of their lives."